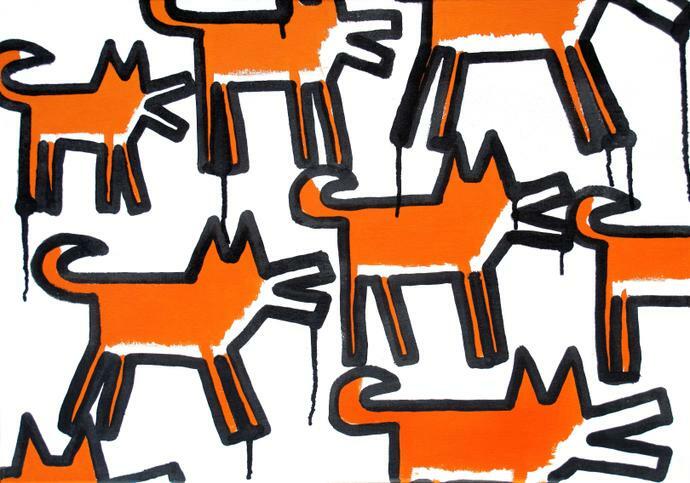 This exhibition comprises of new works where the majority reference existing works by other well known artists. It is common knowledge that artists revisit themes; not only have some been duplicating their own works, slightly modifying them, but appropriation is also widely practised. What is more interesting is the process of adaptation and how the new artwork emulates the original. Nearly all artwork is in some way already second generation, referencing excising source material. Novelty is not essential in art-making. It has become near impossible to claim anything as original or new. Where it becomes interesting is when there is a third or fourth iteration of the same content by another artist. Artistic freedom and intellectual property infringement tread a precarious path where the difference between copy and new creation sometimes encroach on what is legally acceptable. The proliferation of images in the fast moving digital era via social media’s global reach has accelerated the process of alteration and duplication. Artists “borrow” even more rapidly from existing artworks now available online and even more so when and artist or a work is accompanied by financial success or branding. Iconic images from the past including Michelangelo’s ‘David’, The ‘Mona Lisa’, Marilyn Monroe, Campbell’s Soup cans and Disney iconography have been utilized by numerous contemporary artists. 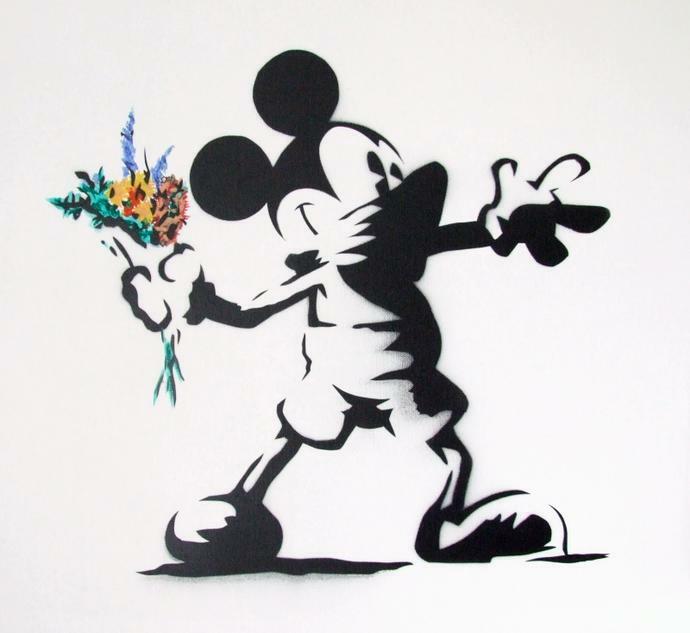 In the show, ‘Flower Thrower’ by Banksy has been reinterpreted by Eyesaw from London. The creativity of true artists lies in how material can be used, modified and adapted as their own. With one of his biggest commercial shows currently on view in London, the exhibition will include new works by Mr. Brainwash. 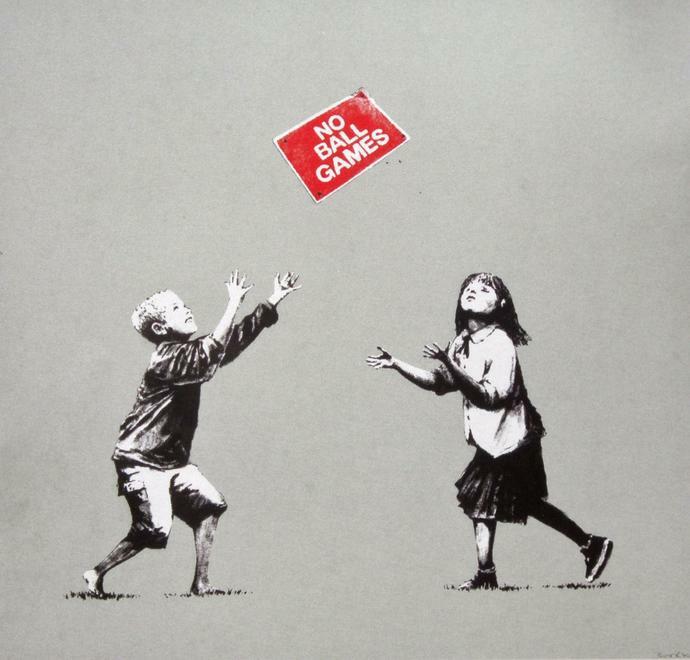 There will also be works by renowned street art star Banksy, Takashi Murakami, Damien Hirst and established UK artists like Eyesaw, T.WAT, Mau Mau, Grafter, Alec Monopoly and Redlock, never shown here before. Also included are two works by Nancy Fouts. By antagonising historical memory, religious mysticism, authenticity and authorship - conflating the practices of collecting the old and making the new - Nancy gracefully claims her status as one of the most accomplished of conceptual artists. This exhibition promises to be vibrant and exciting. With summer in Cape Town fast approaching, it is just fitting that ‘Emulate’ will explode on 34FineArt’s walls with vigor while representing some of the major artists’ work from around the world.